February saw some great updates to all three Hubs within HubSpot, all geared towards helping you grow your business and better reach your customers. With updates to the ads tool, a number of new sales features, and a brand new lead scoring system, February has something for everyone. 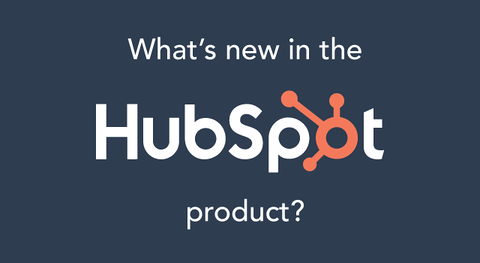 Here’s what’s new in HubSpot this month. LinkedIn Ads are now supported within HubSpot’s ads tool. We all know that ads are one of the best ways to reach your audience where they’re already spending their time online. For many of you, this means advertising on LinkedIn. As the world’s largest professional network, LinkedIn Ads allows you to reach decision makers with your content offers and see a strong return on your ad spend. To help you fully incorporate LinkedIn into your advertising strategy, we’re happy to announce that LinkedIn is now a supported ad network for all Marketing Hub Professional and Enterprise customers. Connecting your accounts is simple, and once you’re set up, you’ll be able to sync leads from LinkedIn directly into HubSpot, create targeted audiences using any HubSpot list, and report on the true ROI of all your LinkedIn ad campaigns. You’ll also be able to align your LinkedIn ads strategy with the rest of your marketing efforts in HubSpot and use tools like workflows to automate your follow-up and create a consistent narrative for your customers. Want to learn more about LinkedIn Ads in HubSpot? Optimize your content for search with a new pillar module. Optimizing your content for search engines can be time consuming. Going back through all your content and adding necessary backlinks is a tedious manual process, but a crucial part of a sound SEO strategy. To save you time and energy, you’ll now find a new Pillar Module within the Marketplace that can be added to any of your templates. This module will automatically add the correct pillar page link with the right anchor text to your landing pages or blog posts within HubSpot — no manual linking required. This module will make it easier than ever to achieve a site structure that helps search engines better understand your website, which in turn will grow your traffic. Restrict access to your HubSpot blogs with CMS Memberships. Since last year, Marketing Hub Enterprise customers have been able to restrict access to specific website and landing pages using HubSpot lists. You can use this feature to easily create a membership website using HubSpot lists, providing premium content to your current customers or a subset of contacts. As of this month, CMS Memberships now include blog content in addition to website and landing pages. Use this feature to create an internal blog for your employees or a blog that's only visible to your customers. Want to start creating membership-driven content? Get a better picture of your contacts’ experience with the updated activity feed. The activity feed is essential for helping busy sales reps organize their day and separate out the signals from the noise. This month, we’ve updated the activity feed to be aggregated by contact, so you can see the full history of a contact within the CRM. Click on a contact within the activity feed, and you’ll see all their activity neatly laid out for you — no more searching to find each action a contact within the CRM took. Check out this Knowledge doc. Take control of your schedule with incremental start times in the meetings tool. For busy sales reps, meetings don’t just happen on the hour. They happen immediately after a team meeting gets out at 1:15 PM, then again at 2 PM, and again at 2:30 PM. If you're not able to manage the frequency of your meeting start times, you might miss out on the opportunity to make a connection with a new lead. With incremental start times, you can set your availability to allow meetings to occur at a time that's most convenient for you and your prospects. 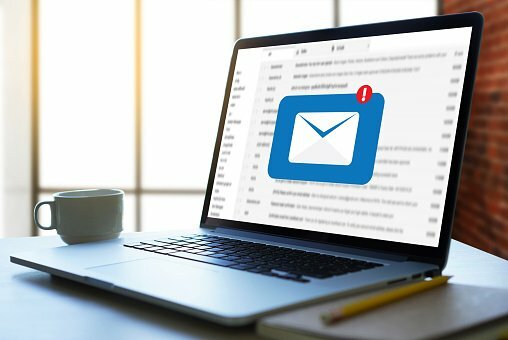 Never miss out on an opportunity to connect with a new lead again. Curious about the meetings tool? Quickly update deals or tickets using playbooks. Playbooks is a feature available in Sales Hub Enterprise and Service Hub Enterprise. Use this tool to arm your sales reps with competitive battlecards, called scripts, or any other helpful information that they might need to reference during a conversation with a prospect or customer. To help you better align playbooks with how you sell or service your customers, you now have the ability to link company, deal, or ticket properties to question and answers in playbooks. That means that as reps work their way through a call script, for example, they can automatically log a reply to a question as a property that will correlate to a company, deal, or ticket. Reps can now also log playbooks as different activity types. Previously, all playbook entries were logged as notes. This meant that reps goaled on total calls or meetings would have to separately track their calls made and meetings held. This update streamlines the rep experience by allowing you to choose the type of activity you’d like to log as you work your way through the playbook. Want to learn more about playbooks? Quickly get your knowledge base started with the new knowledge base importer. If you’re just getting started on Service Hub, setting up your knowledge base is a crucial first step to letting your customers find quick answers to common questions. 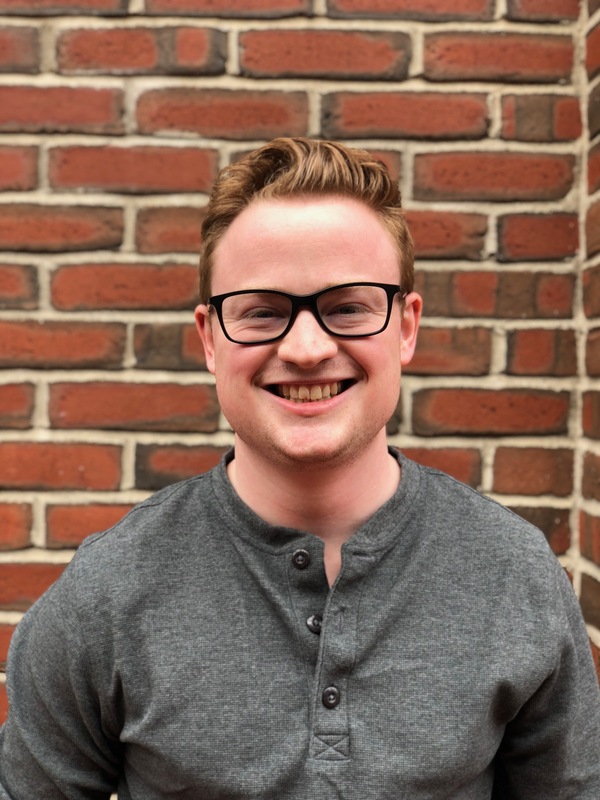 But if you already have an existing knowledge base, bringing it into HubSpot can be a time-consuming, manual process — until now. With the new knowledge base importer tool, you can now automatically transfer all the articles from your existing knowledge base into the HubSpot Service Hub knowledge base, with just a few clicks. With this tool, you can transfer knowledge bases from Zendesk, Intercom, Freshdesk, and Helpscout, eliminating the manual work of copying and pasting articles. Have questions about the specifics of this new tool? Check out this blog post with all the info. Scale your lead scoring with multiple lead scores. With contact scoring, you assign points to your contacts based on certain qualifying criteria, like demographics and behaviors. The higher the score, the more qualified the contact. If you have one audience, a single score suffices. But as your company scales, you’ll sell to new audiences. You might expand into new product lines, new regions, or new personas. You might focus more on upsell and cross-sell of existing customers. If your contacts aren’t “one size fits all,” your scoring system shouldn’t be, either. With that in mind, if you have an Enterprise account of any Hub, you can now create up to 25 scoring properties in HubSpot. Professional accounts across all Hubs also gain access to one scoring property. As part of this update, lead scores now live alongside all your other contact properties in HubSpot, so you can manage them in the same place you would your other properties. Ready to set your sales team up for success? Learn more about the new lead scoring system. 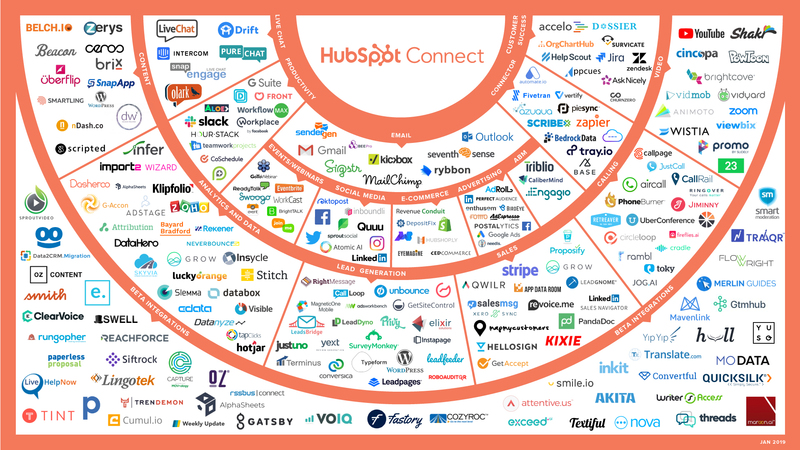 Our HubSpot Connect integrations library is constantly growing to meet the unique needs of your business. We’ve launched a number of new integrations this month, including our integrations with Cloudpipes and VOIQ.